Take note of new additions! Experience the daily routine of a working voyageur by loading, launching, and paddling a 36' long canoe made from real birch bark, spruce roots and white cedar. The canoe holds up to 25 paddlers. These magnificent canoes carried trade goods and furs from Montreal to Lake Superior during the Fur Trade Era. Students will take 45-minute paddle trips on the Portage Waterway. This program includes story-telling, demonstration and teaching of traditional Ojibwe arts, plus discussion of the importance of old growth forest for traditional art forms and maintenance of traditional lifestyles. Listen to stories about Lake Superior passed down by the Woodland Indians of the Great Lakes. Experience many native materials, such as sweetgrass, birch bark, agates, feathers, and pelts that bring home the message that Lake Superior is alive and indispensable. Watch Lois demonstrate several endangered art forms, including porcupine quill work, sweetgrass and birch bark basketry, birch bark cut-outs, birch bark bitings, and cedar fiber weaving. We will explore the background of places on the Lake Superior shoreline by examining why people came here, and what was important to them, as reflected in the language, meanings, and types of names they gave to the cities, towns, and natural features of the Lake Superior Region. 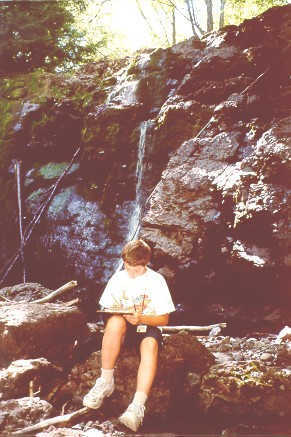 Play the game "concentration" to test your knowledge of history and geography within the Lake Superior watershed. You may be surprised at the type and variety of activities that people have been involved in historically and are currently involved in, including the many shared activities between residents on both sides of the international border. The waters around Isle Royale National Park contain a wide array of historical items left from the activities of persons who lived here before we arrived on the scene. Many items discarded from mining and fishing settlements and large ships have been found, including dishes and silverware. During this presentation, we'll discuss the island's submerged cultural resources and examine artifacts from the Isle Royale museum collection that have been found underwater. You will hear stories of some of the park's major shipwrecks and learn how you can explore this underwater 'history book' through recreational SCUBA diving. 60. Ghosts of Gitchee Gumee: Tales of Keweenaw Shipwrecks. Find out about the most dramatic of the more than 140 harrowing shipwrecks that occurred around the Keweenaw Peninsula in Lake Superior over the past 200 years. Learn how Great Lakes shipwrecks are located, documented, and preserved; and how they may be explored. Brendon Baillod co-founded the Great Lakes Shipwreck Research Foundation, an organization dedicated to researching, locating and preserving historic Great Lakes shipwrecks. The Foundation is based in Milwaukee, Wisconsin (http://www.ghost-ships.org). This presentation will explore strategies for identifying and reaching your career goals. Presentation topics will include: Selecting a College, Academic Preparation, Assessing Your Career Interests, Choices of Environmental Careers, Resources for Job Hunting, and Interviewing Tips. The presentation will explore the expanding role of amateur naturalists in community government and decision-making processes. We will examine what it means to be a community naturalist, how to start and get others started, and successful case studies from naturalists around the country. Do you like to camp, hike, and boat in the out-of-doors? Did you know that these activities can actually harm the environment if not done thoughtfully? 'Leave no-trace' techniques will help you plan safer and more satisfying trips. Learn how to conceal last night's campsite, properly dispose of wastes, protect trails and water sources, minimize the impacts of fire, respect wildlife and be considerate of other wilderness visitors. 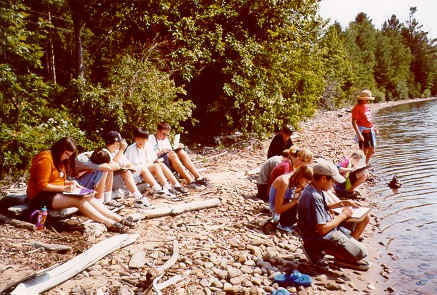 Part of environmental education is an attempt to motivate action on behalf of the environment. But what inspires or motivates us to act? Find out what has been learned through research on this fascinating subject. Different types of environmental action and activism will be discussed. 39. Why Do We Need Wilderness? This presentation will focus on wilderness preservation arguments and the strength and weaknesses of these arguments. Do we need wilderness areas? Why? What motivates people to advocate the protection of a place that they will likely never visit? How do we develop a solid argument on behalf of wilderness preservation? Participants will tackle a water quality issue of their choosing, such as safe disposal of hazardous wastes or control of toxic air emissions. Then students will develop a campaign to achieve their goals, and share their strategies with other participants. Participants will tackle a biodiversity issue of their choosing, such as wetlands protection, sustainable land use, or control of zebra mussels. Then students will develop a campaign to achieve their goals, and share their strategies with other participants. While North Americans may feel like they are water-rich, 2 billion people in the world lack access to safe drinking water. This problem is a cause of major health problems and mortality throughout the developing world. This session will be taught by students entering the Peace Corps to work on water quality and quantity problems in developing countries. They will inform you about current water issues in Central America and Africa. Following the same process used by the Lake Superior Binational Forum and communities around the watershed, participants will be guided through the development of their own visions for Lake Superior (or the Great Lakes). Visions are general, short statements that capture the essence of where you want to go. They help people stay on track "to do" something. This session will help you leave with a clear idea of where you or your class wants "to go" with a special project once you return home. 44. Why Isn't Recycling Everywhere? Recycling can be confusing. In some cities, you can recycle practically anything, and in some countries, there are recycling containers on almost every corner. But in other places, you're lucky if you can recycle newspapers! Find out what is needed to make recycling work, economically and socially. Just because you have recycling centers, doesn't mean everyone will do it. Why not? Discover the steps and requirements for effective recycling. Students will interpret musical and poetic verse written about Lake Superior, and listen to music through a variety of means, including live performance. Students who play musical instruments are encouraged to bring them to this session. Students will have the opportunity to compose songs or verse about Lake Superior, and will evaluate the power of this type of medium in communication. Students will create an assemblage piece (sculpture or hanging) that incorporates a variety of natural materials collected from Upper Michigan's Keweenaw Peninsula. We learn about geometry in math class, but what about in science? Walk through the woods and observe typical geometric shapes, like circles, ovals, triangles. Learn about the Fibonacci number pattern found in pine cones, flowers, and other organisms. Participate in some high-energy, fun outdoor activities that will help students understand Lake Superior food chains and how they are affected by pollution, exotic species and other factors. The U.S. Coast Guard will take students for 45-minute boat tours in the Portage Waterway aboard the Coast Guard boat used for emergency rescues and for patrolling recreational boaters. 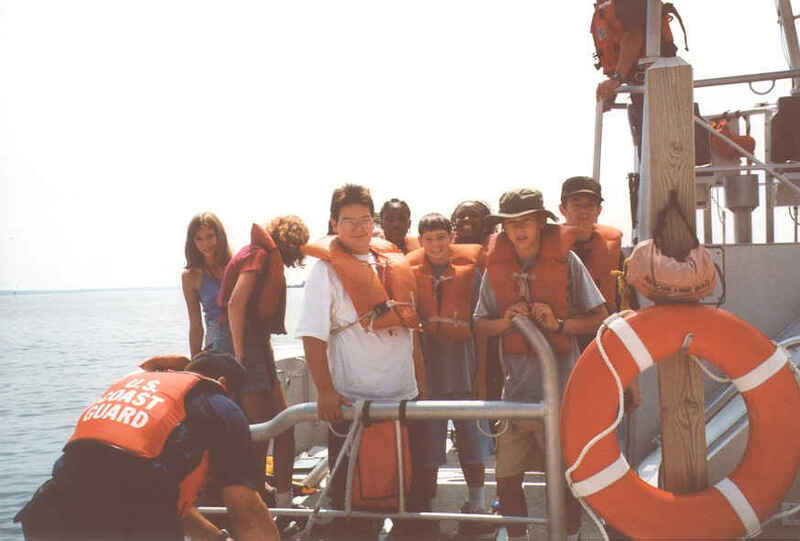 Students will learn about the responsibilities of the Coast Guard and possible career opportunities with the Coast Guard. Michigan Tech graduate students will demonstrate the use of water quality sampling equipment used to conduct research on Lake Superior. What kind of ships travel the Great Lakes? Discover the characteristics of "Lakers" and the commonly used shipping channels on the Great Lakes. You will learn about the operation of the Soo Locks and the possible effects of building an additional lock at the Soo. This presentation will examine the history, characteristics, economic and tourism aspects, environmental impacts, safety, trail planning and design of snowmobiles.. Students will be introduced to current research at Michigan Tech - groomers, trail safety and design, and the clean snowmobile competition. Over the years various activities of man have led to the introduction of many non-native, aquatic nuisance species as well as invasive land plants. This presentation will review several aquatic invaders such as the ruffe, round goby, spiny water flea, and zebra mussels that have made their way into Lake Superior. 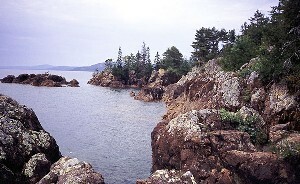 The Lake Superior basin has also several species of invasive land plants that continue to spread. Specimens of aquatic nuisance species and invasive land plants will be available during the presentation. 53. Why the Ups and Downs of Lake Superior Water Levels? There are a number of reasons why Lake Superior water levels change over time. These water level changes can be short term, seasonal, or long term. The reasons behind these water level changes will be discussed, along with what the future forecast is for water levels in Lake Superior. How do PCBs affect Lake Superior? Students will learn what PCBs are and discuss why they are toxic. Find out how they enter the food chain, and move in and out of the lake. Sandy Beach is a white sand beach close to Wawa. Its beautiful sand dunes were being destroyed by blowout, because the roots of the plants that held the sand had been ripped out, in part by four-wheel drive vehicles that had access to the beach. Celebrate The Earth Club (CTEC) students to the rescue! They erected barriers and started the process of restoring and protecting the dunes. Our presentation will explain how the project developed and how we have shared it with international audiences. Students will describe their part in the Grand Traverse Bay Watershed Initiative. This Initiative involves more than 1,200 students in grades 5-12, who monitor 50 sites on 15 area rivers and streams to learn about their local water resources and to explore the land/water relationships of their community. This program is a collaboration between students, teachers, schools, the Grand Traverse Bay Watershed Initiative, and the Grand Traverse Regional Math, Science, and Technology Center. 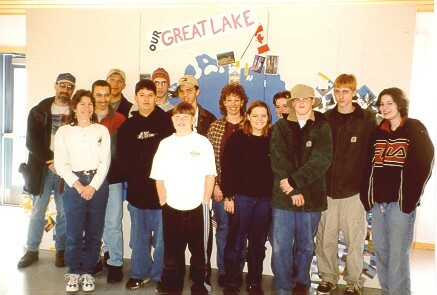 Find out about the education and outreach activities that middle and high school-aged Great Lakes Aquarium TEAM members are involved with in the Duluth area...take home some new ideas! Challenge yourself!! Participants will be able to climb a 35-foot climbing wall at the Michigan Tech Student Development Center. There are four difficulty levels. The easiest climb is a flat vertical wall, and the most difficult climb requires climbing horizontally on the underside of an overhang for 10 feet. No experience is necessary!! What inspires or motivates us to act on behalf of our community and the environment? Gather ideas from this presenter's extensive research that you can apply to working with your students in the classroom and on special projects. The Leopold Education Project (LEP) is an innovative, interdisciplinary educational program based on the classic writings of the renowned conservationist, Aldo Leopold. 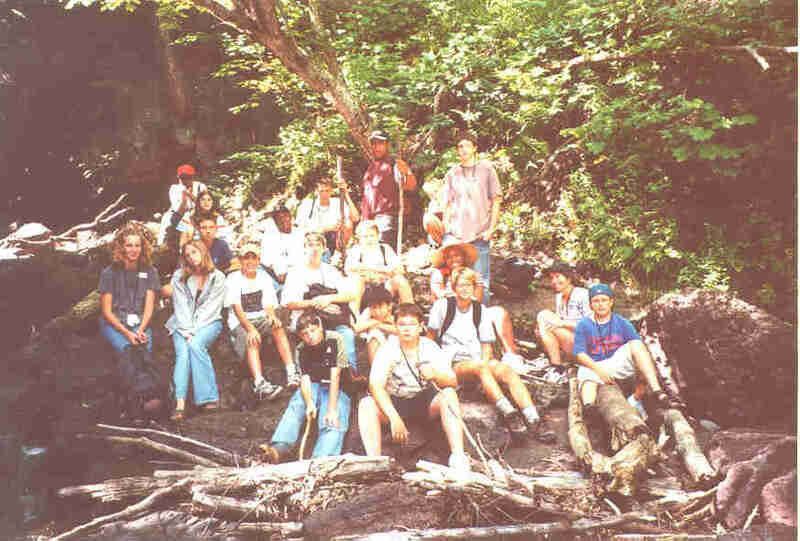 The LEP was developed to teach the public about humanity's ties to the natural world and to provide leadership in the effort to conserve and protect the earth's natural resources. This workshop will focus on the cultural history, geography, and ecological health of Lake Superior, and provide teachers with hands-on activities that relate to national content standards for science and social studies. Workshop participants will receive a copy of Lake Effects: The Lake Superior Curriculum Guide, which contains more than 30 interdisciplinary activities. Sandra Ryack-Bell, The Dunn Foundation, Warwick, R.I.
ViewFinders Too is a new interdisciplinary curriculum that examines how community appearance and character can affect the health and future of Great Lakes watersheds. Students will explore the connections between the built and natural environments. 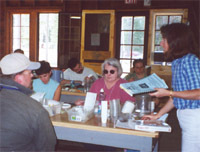 The curriculum incorporates slides, photographs, videos and computer technology into hands-on lessons which utilize real life planning tools. Participants will receive a curriculum, plus their own set of slides, photographs, and transparencies. Linda Rulison, Social Studies teacher, Ruth Ann Smith, librarian, and Ashley Hanson, language arts teacher, Hancock Middle School, Hancock, MI. A thematic unit based on a Native American tribe as they encounter Europeans and the resulting cultural interactions; inspired by Loren R. Graham's, A Face in the Rock. We will share the process that our 7th grade teacher-team went through to develop the unit. Participants will receive discussion questions for Language Arts and Social Studies, examples of student work, student handouts, assessment strategies, and annotated bibliography. David Kronk, education specialist, Pictured Rocks National Lakeshore, Munising, MI. This curriculum, developed by the World Wildlife Fund, explores the meaning of biological diversity, its significance, current staus and steps taken to protect it. Participants will receive an Educator's Guide with 34 interdisciplinary activities.